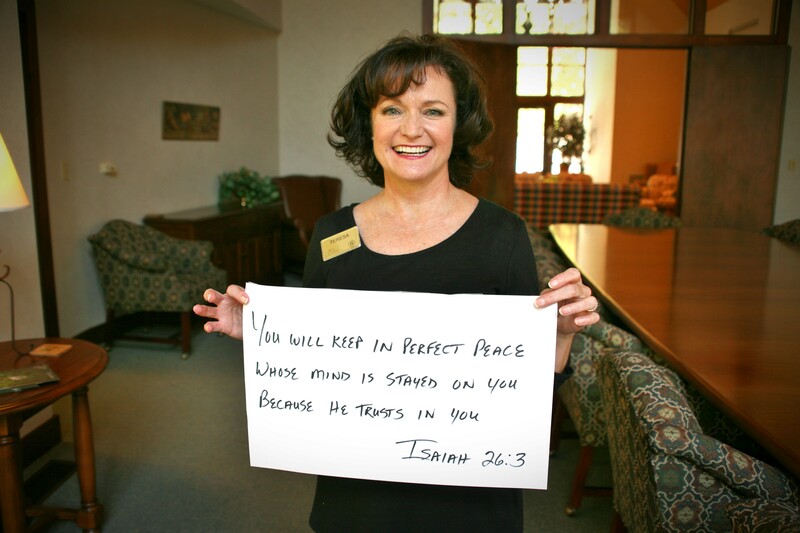 This week’s verse is brought to you by Teresa, a Program Events Coordinator here at The Cove. Her verse is Isaiah 26:3. In all things. Seeking Him throughout the day. Knowing He is in. Son Jesus to be the perfect sacrifice to cover our sins. Wow. He does give us perfect peace when we abide in Him.